How do these creatures effect their environment? Bullsnakes are the animals we need to save most because of the constant benefits they give us and the creatures int their environment. Bullsnakes help with the carrying capacity of animals, the predator-prey ratio, but can be killed off quickly by rodent infested disease. All of these facts make the bullsnake a contestant to be conserved. 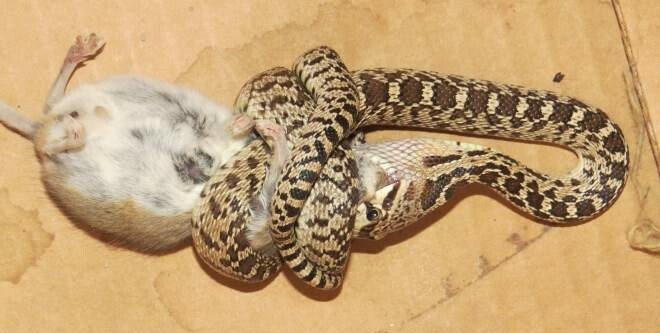 Bullsnakes are known to eat rodents whole. 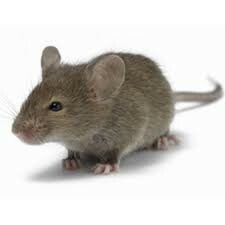 This helps with the over population of rodents in one community and allows it to not get out of control. Bullsnakes bury their eggs underground to stop predators from eating them. This allows the population of bullsnakes to grow without any disturbance. Small rodents, again have a large population. To keep the population steady, bullsnakes eat animals such as mice, shrews, and sometimes even gophers and rabbits. Bullsnakes contribute a grave part in the food chain, as they are nearly the top predator. This species of snakes eat pocket gophers, rats, mice, rabbits, ground squirrels and occasionally birds and their eggs. Even though they are near the top of the food chain, they till provide a meal for hawks, owls, and other birds of prey. As a technique in survival bullsnakes have a disguised tail to make a rattle sound scaring off the predators. Disease plays a huge part in the conservation of this snake because it helps with the population and the fact that we need to keep this species alive. They can be easily affected by rodent bites and can die from the diseases rodents carry. Temperature change can also cause a respiratory affect on the snake along with heat that can give the snake deathly skin conditions. The respiratory affects and the skin disease sometime may not kill of the whole population, but for sure most of it. Again, these snakes need to be preserved because of the positive addition they are in our environment. They align our population and give some creatures food, but use other animals as their food. 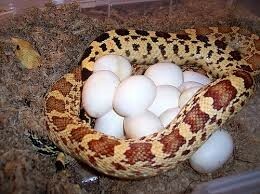 They can be killed off easily by disease, but kept alive by the way they safely bury their eggs underground. These animals are worth saving and the environment is benefitted as a whole by them.